In adulthood and being a city dweller my Market experience is now more about the produce. One of my favourite things to do in the whole wide world is to grab my wheelie trolley, pop in my headphones and wander around. Up and down the aisles I go, always spending far more money than I intended. I usually begin with a shopping list, but quickly I diverge. Before I know it I’ve bought cheese with the intention to share with friends but will most likely eat all to myself in less time than I care to admit. I’ll buy a heap of Asian greens that will probably go floppy before I have a chance to cook them and I’ll have got suckered in to some of those end of day bargains, spruiked at me by someone with that accent I swear I’ve heard nowhere else before. Another one of my favourite things to do at the Central Market is to have a cheap and delicious Friday night feed. In the past it’s always been about the food court. Share a table with strangers and smash a bowl of vegetarian laksa from Laksa House or duck into Chinatown Cafe for a Hainanese chicken rice (breast meat, Asian greens – standard order). Last Friday came with a game change… Myself and a girlfriend sat around in my apartment discussing what to do for dinner. We settled on the decision for home-made cold rolls. Cheap and healthy, quick to make. 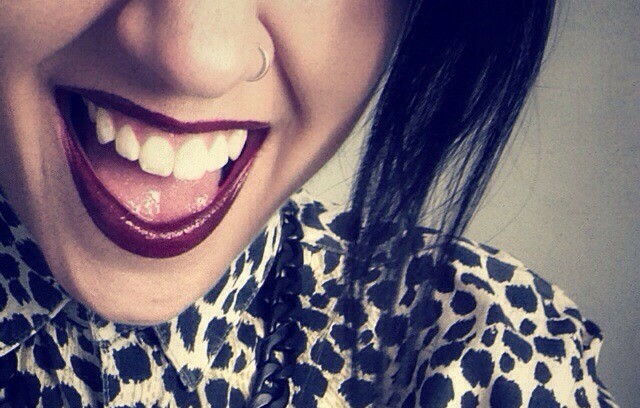 SORTED. Well, that was until we walked past the paella. 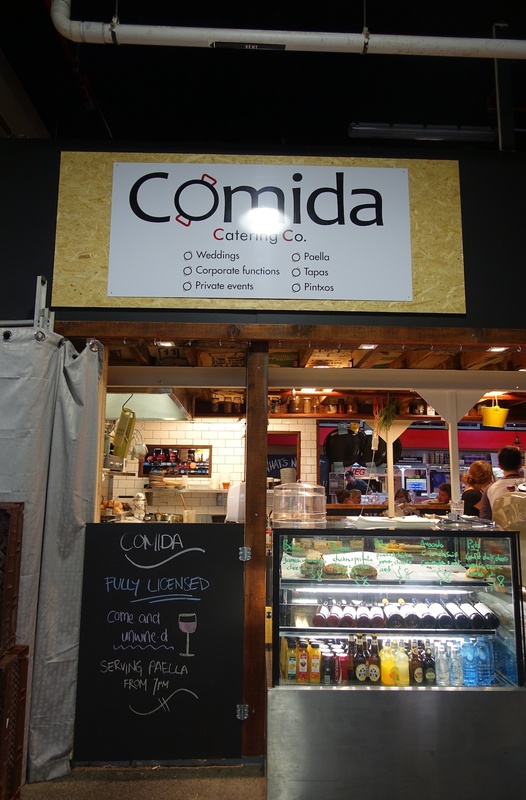 Cold rolls were now a distant memory and we pulled up a seat at Comida Catering Co., one of the newest stalls at the Market. 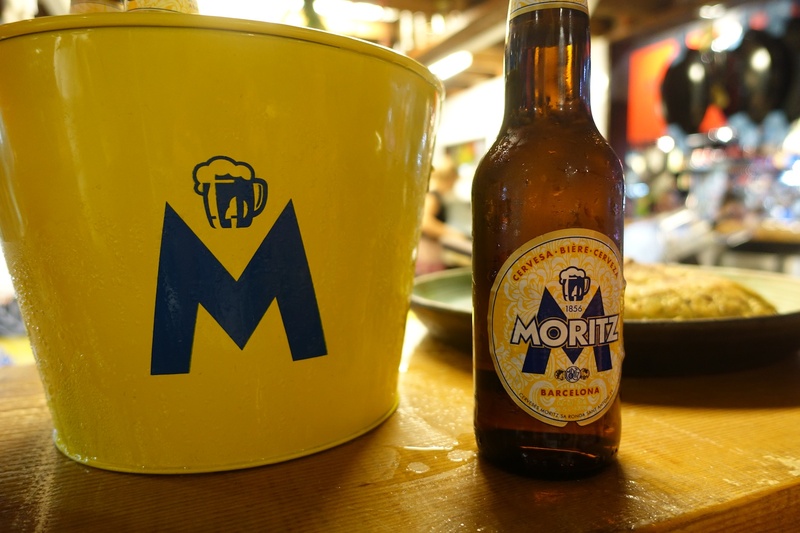 We were greeted with the sight of punters sitting shoulder to shoulder along the bench surrounding the kitchen, Moritz beer chilling in the signature yellow buckets and the tastiest looking paella I’ve ever seen. I must admit, we ordered before even looking at the menu or prices, we were women possessed. 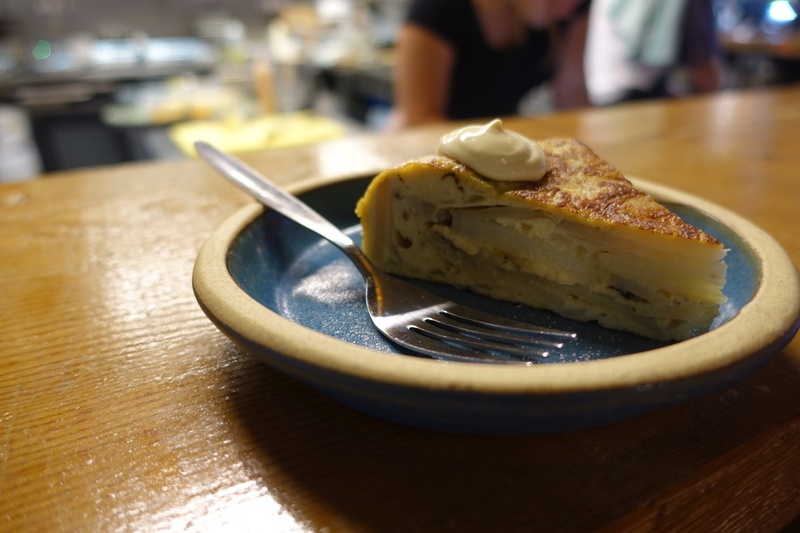 But, for about $25 each, we got a generous serving of paella, a beer and then a slice of tortilla with aioli to share, just coz we couldn’t resist it sitting there, tempting us with its eggy, potatoey goodness. 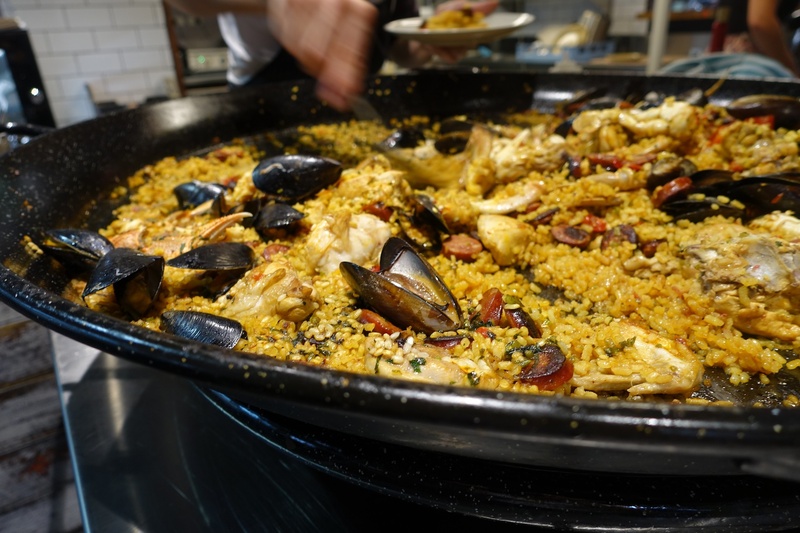 I’ve not been to Spain but this paella was probably the best I’ve had in Adelaide. The rice was cooked beautifully and packed with crab, mussels, cockles, chorizo and chicken. 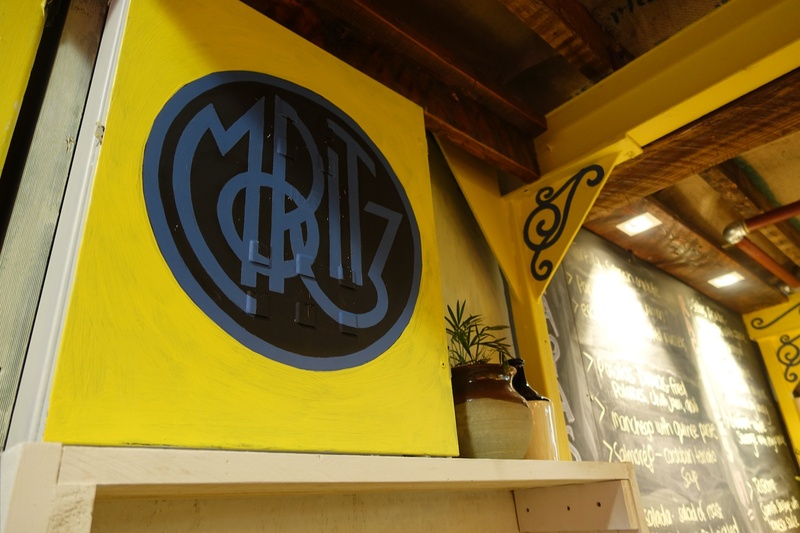 The beer was cold and the staff were lovely, attentive and keen to ensure you enjoyed your meal. 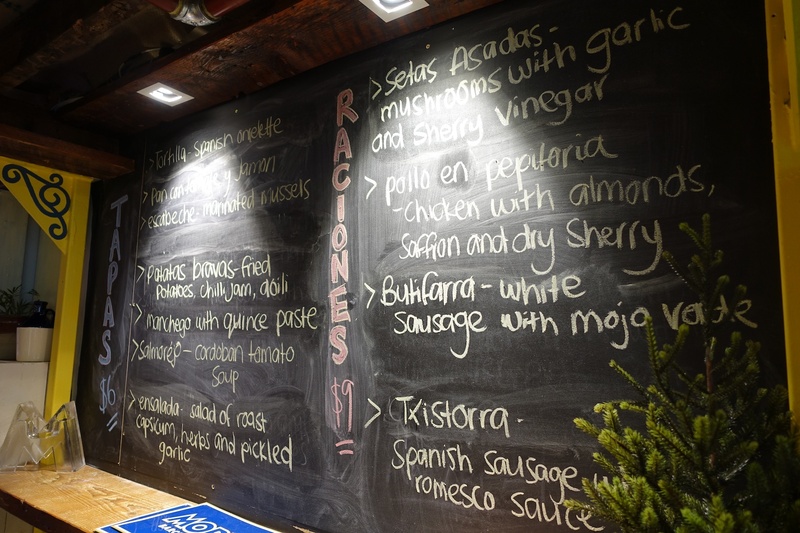 If you miss out on the Friday night paella, their tapas menu also looks fantastic. The couple next to us had the mushrooms with garlic and sherry vinegar and the patatas bravas are next on my to-do list. Their licensing extends only to their own seating and not to the tables for two provided by the Markets so if you want to have an adult beverage, you gotta pull up a stool. We were totally OK with this, I loved the vibe. 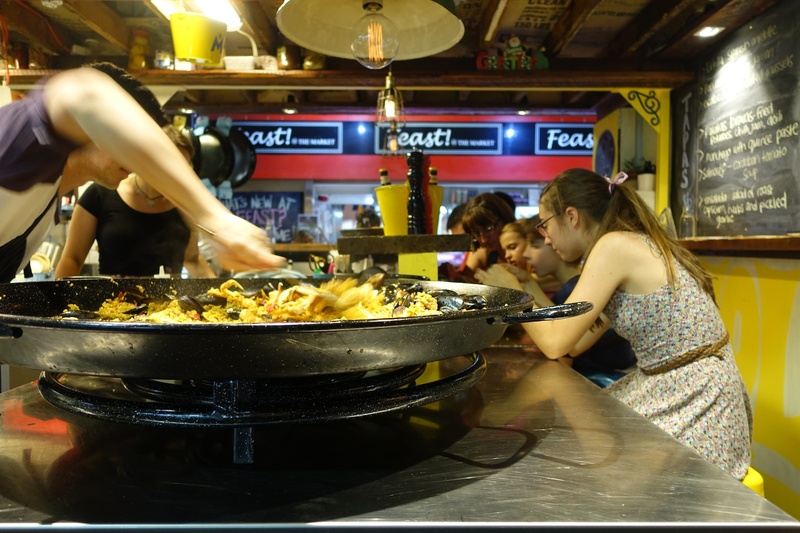 Throughout the course of our meal, many people stopped and looked at the beauty of that paella pan as it quickly depleted to selling out. 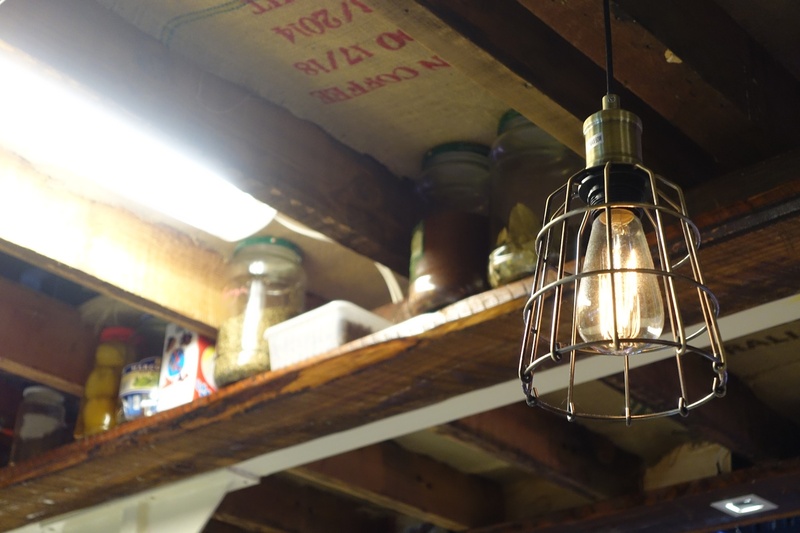 We even had 2 people ask us how it was, we were happy to oblige with positive reviews. After this one meal I was sold, this is my new favourite Friday night joint and then within days, my favourite breakfast spot too. 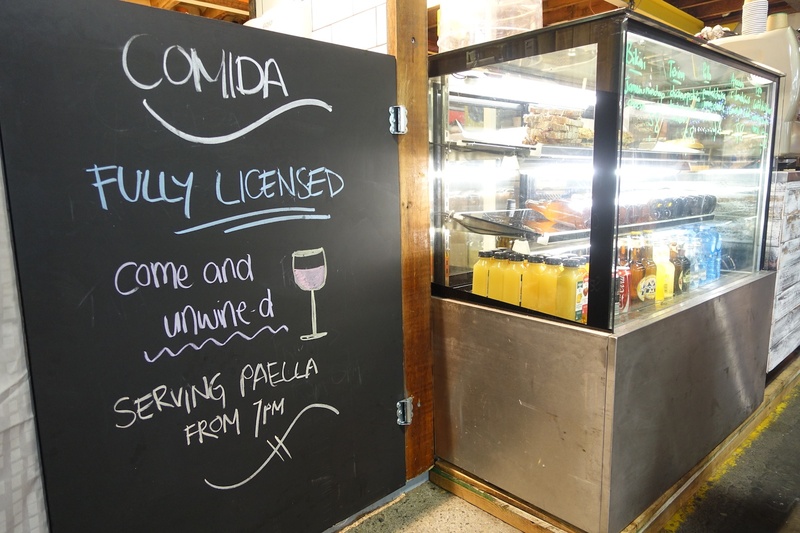 Comida offer a pretty cracker breakfast and a lunch menu I’m yet to try. 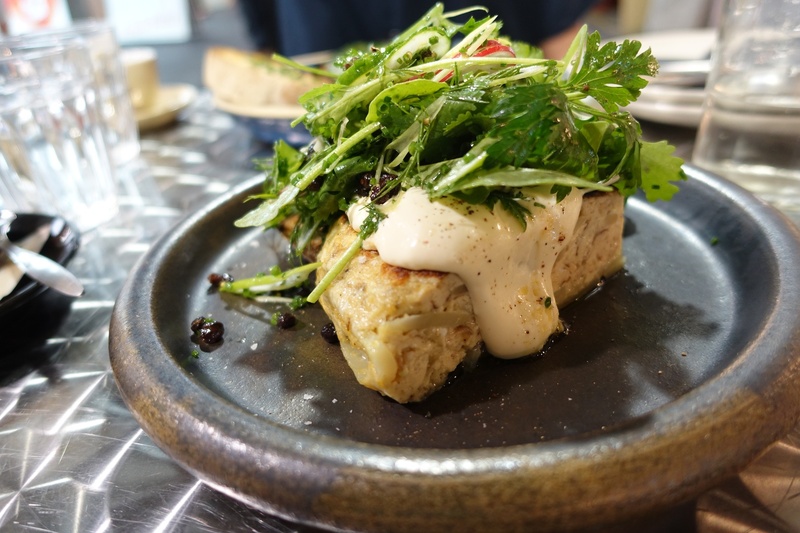 Items explored for breakfast were again, the tortilla – this time served with sour dough, avo and a zesty salad of herbs, radish and fennel fronds. 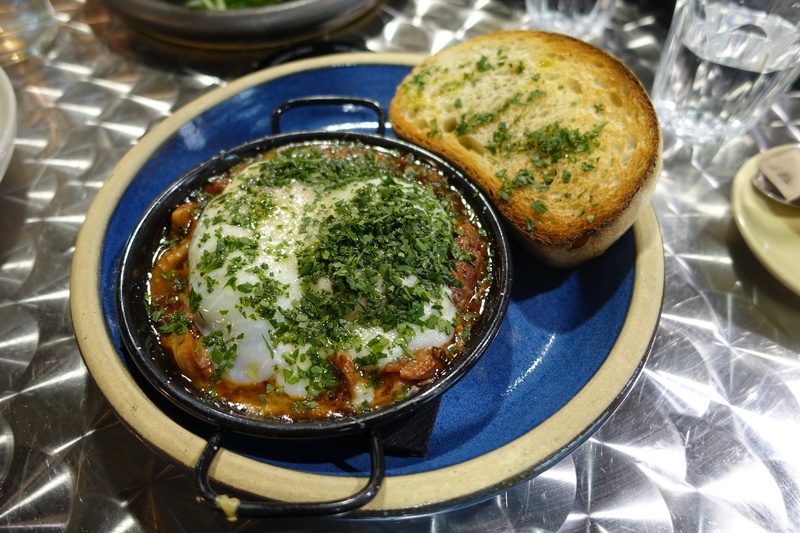 There’s also the ‘gypsy’ baked eggs and strong, delicious coffee. As their name suggests, they also cater. If I had a party coming up, these guys would be the first people I’d call. Believe the hype, support a local and have your own paella party on a Friday night. I’ll see you there, beer in hand. These guys just catered for our work Xmas party and it was sensational! 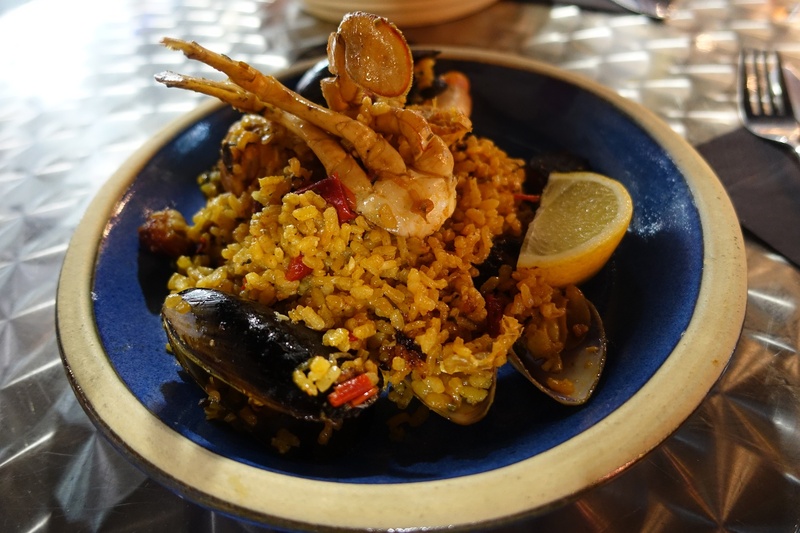 Hubby and will definitely be Friday night regulars after tasting their paella.